Almost 1700 years ago, on 20 June 325AD, 318 bishops concluded a very significant meeting. They had gathered in Nicaea because errors had arisen in the church which were so profound that they undermined the very foundation of the Christian message. Those bishops renounced the heresies and upheld orthodox Christian doctrine which had been revealed by God through the Scriptures. On 22 June 2018, 316 bishops (along with 669 other clergy and 965 laity), concluded another very significant meeting. They gathered in Jerusalem because errors have arisen in the church which were so profound that they undermined the very foundation of the Christian message. Those delegates renounced the heresies and upheld orthodox Christian doctrine which had been revealed by God through the Scriptures. Those in Jerusalem were gathered from around the Anglican communion and represented the majority of that fellowship. 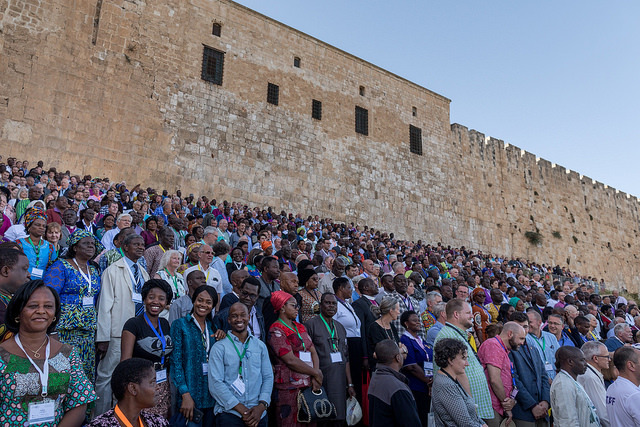 But as this was the third GAFCON that has been held, a justifiable question is whether this conference will make any lasting difference in the way the conference at Nicaea did? In order to answer that question, it is worth understanding the context in which this movement has arisen. The Anglican communion is a global fellowship of churches that share a common heritage with the Church of England. Ministers and missionaries went out from England to proclaim the gospel and they established churches around the world according to the biblical doctrine and liturgy which was the bedrock of the English church. As the number of churches that shared this heritage increased, means were sought to demonstrate the fellowship of shared history, doctrine and mission. Four Instruments of Communion were established to facilitate fellowship. The Archbishop of Canterbury, by leading the most ancient diocese in England (est. 597AD), was privileged to be charged with facilitating fellowship. In 1867 Archbishop Longley held the first Lambeth Conference of Anglican bishops because many had raised concerns about false teaching in some churches. Although probably never originally intended to be a regular meeting, the Lambeth Conference began to be held every decade and became a source of fostering fellowship. 100 years later, two further instruments were established so there could be more regular consultation. In 1968, the Anglican Consultative Council was created to share wisdom and encourage members in mission. In 1979 the first Anglican Communion Primates’ Meeting was held for leaders of large groups of dioceses (provinces) to meet and prayerfully discuss issues facing the churches. These four instruments of communion were not established to be the basis of unity among Anglicans, rather, they were developed to foster the international fellowship which arose from the existing unity of history, doctrine and mission. Three of the four instruments are fairly novel in the history of Anglicanism, indeed, two have begun in living memory of most of the current bishops. They have no intrinsic value in and of themselves but are only valuable so long as they foster the fellowship in Christ which is the basis of the Anglican communion. Unfortunately, towards the end of last century, some of the churches began to move away from the biblical and doctrinal basis of Anglican unity. 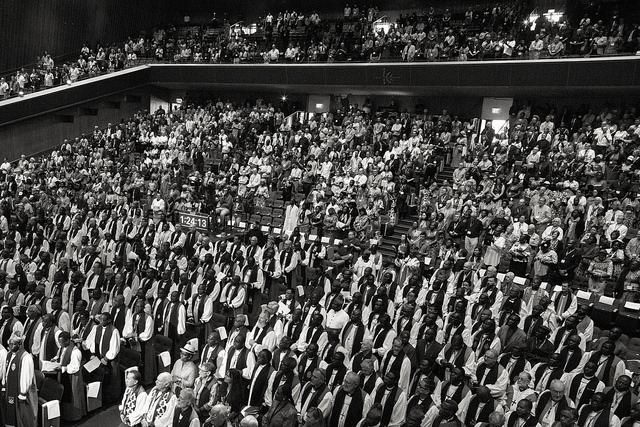 At the 1998 Lambeth Conference these churches sought to validate their departure from scriptural norms by seeking the endorsement of the conference, particularly in relation to human sexuality. However, led by the then Archbishop of Canterbury, George Carey, the Lambeth Conference overwhelmingly rejected the heterodox suggestion and affirmed the biblical doctrine upon which Anglican unity had always been based. 1998 Lambeth Resolution 1.10 made clear that “in view of the teaching of Scripture” the conference upheld the Christian doctrine of “faithfulness in marriage between a man and a woman in lifelong union” and affirmed “abstinence is right for those not called to marriage”. In this Resolution the instruments of unity declared again the fellowship of global Anglicanism was rooted in biblical truth. For the schismatics this was an intolerable defeat and they went on to blatantly defy the instruments of communion. At this point, fellowship was tragically broken because the basis of fellowship was no longer shared. Making matters worse, as the new century commenced the instruments of communion began to behave as though they were the basis of Anglican unity. Rather than facilitating a fellowship based on the underlying unity of biblical doctrine as they had been designed, they included in their fellowship those who had rejected that doctrinal basis and rebelled against the previous resolutions in its favour. Furthermore, they would not include some faithful Anglicans who bravely chose to stand against the schismatics rejection of biblical Christianity. The rhetoric from those in authority declared that being Anglican amounted to “recognition” by the Archbishop of Canterbury and attending certain conferences rather than sharing in a common history, doctrine and mission. In taking this position the instruments of communion defaulted on their mandate and nullified their purpose. As the invitations went out for the 2008 Lambeth Conference, those who remained faithful to the biblical doctrines which were the basis of Anglican unity found the instruments of communion were being employed to condone fundamental disunity. By including schismatics in fellowship with orthodox Anglicans and claiming that unity was a result of attending the same conferences the instruments of communion had become a conceited phantasm. This was called out for the fallacy that it is and GAFCON was born. In 2008 the first GAFCON arrived at the Jerusalem Declaration which was a statement reaffirming what it means to be an orthodox Anglican. Paradoxically those who had betrayed the basis of Anglican unity began ridiculing the orthodox Anglicans as schismatics. Nevertheless, fidelity to the gospel compelled the GAFCON movement forward and a deep spiritual unity, the kind of unity the instruments of communion were supposed to foster, was cultivated. The GAFCON movement continued to call upon the instruments of communion to fulfil the mandate they had been created for. Unfortunately, in the decade since the first GAFCON there has been no indication that the instruments of communion will return from their usurpation of the basis of unity being in shared history, doctrine and mission. Rather, they continue to contend falsely that they are the basis of Anglican unity. Those familiar with the history of the fourth century will know that the struggle for upholding orthodox truth did not end with the Council of Nicaea. Indeed, bishops like Athanasius spent the rest of their lives contending for the doctrine that had been agreed to. But Nicaea was a significant turning point. Not only was biblical truth upheld but a creed was agreed upon which would propagate that truth through the churches. Similarly, those in the GAFCON movement will need to continue contending for the truth but I think it is fair to call this a significant turning point. Not only has biblical truth been upheld, now a means of deepening the fellowship of those who are united in sharing that truth with a lost world has also been established. 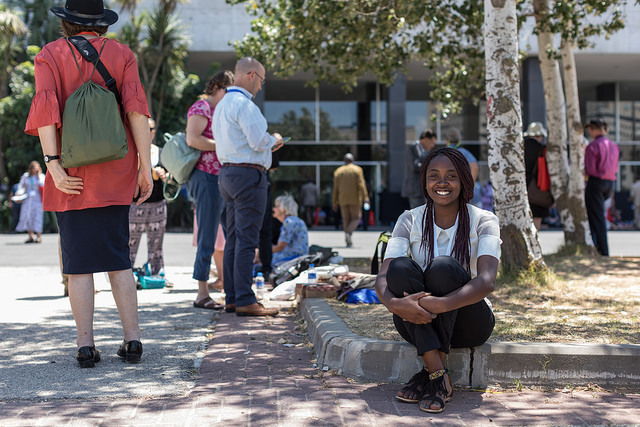 The Apostle Paul thanked God for partnership in the gospel—GAFCON 2018 is a cause for great thankfulness to God. Visit www.gafcon.org for more information and sign-up to follow the GAFCON movement.